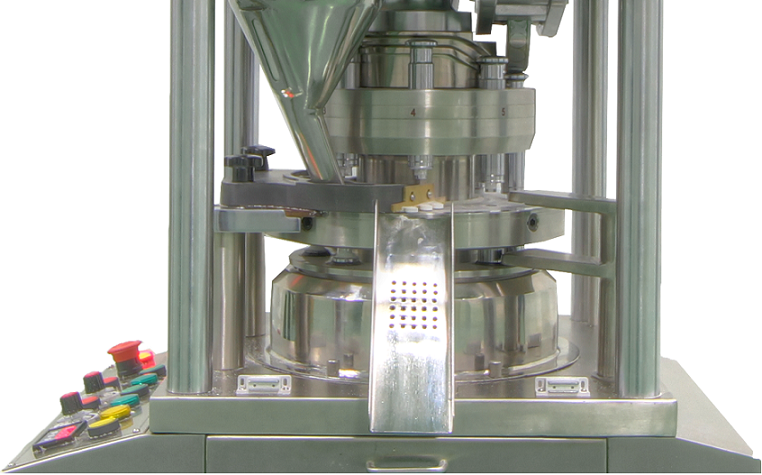 The Mini Press I is an Ideal Machine for Pharmacy Colleges, R & D Tablet Press Machine and small batch production. 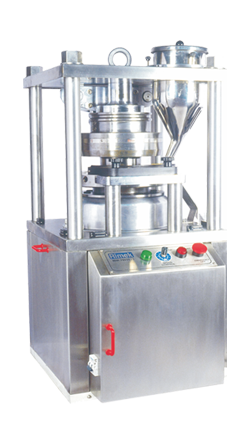 This small and sturdy single sided rotary tablet press is designed as per CGMP considerations. The machine runs at the low noise level. The speed is controlled via an ACVF drive and is easy to operate, maintain and clean. Application Industries: Pharmacy Colleges, R&D, Agriculture, Nutraceutical, Confectionery, Camphor etc. Granules are fed through open feed frame which ensures easy settings and minimum wastage of material.